Exploring the many use cases for realtime, from chat, to IoT, to geolocation, to multiplayer gaming. In describing what PubNub does, we often use chat as a real-world example. But our use cases extend far beyond that. We have hundreds of customers who use PubNub for tracking vehicles, remote sensors, and much, much more. 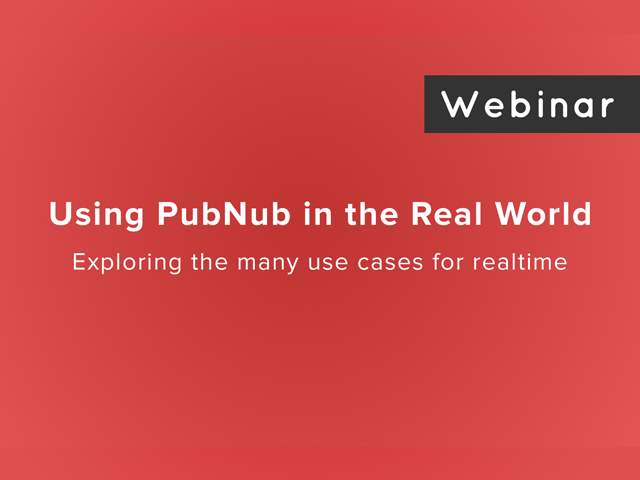 Come ‘chat’ about the amazing real-world use cases others have built with PubNub.